The other day Hiro and I drove to Cottelsoe to meet my friend. Gosh, I hadn’t seen her for such a long time… We used to work at a cafe in Applecross 3 years ago. She is a barista and makes great coffee. 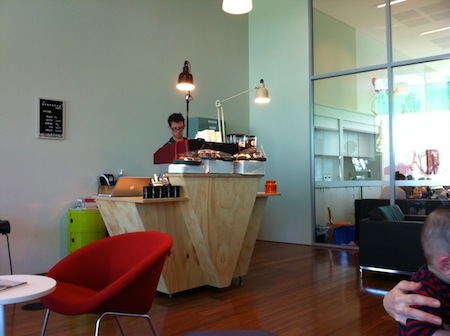 The place she chose for a meet-up was a newly opened cafe inside Cottesloe library, just off Stirling Hwy. There is a underground parking underneath the library, and I went up with a lift. The door between the carpark and lift/stairs area is automatic and it was very easy access with a big stroller. 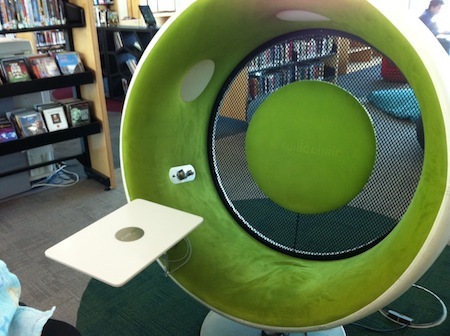 The library looked so beautiful and stylish – Apple Mac desktops are available for use, free wifi, furnished with unique chairs and desks… even beanbag covers are made of denim. I loved the cafe too. 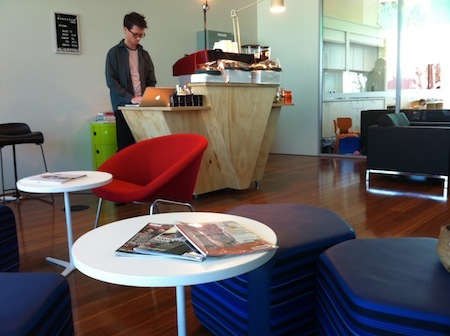 Lovely flooring, modern and contemporary tables and chairs/sofas, and, of course, great coffee. I ordered decaf latte. Beautiful crema. 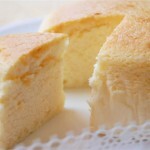 I couldn’t take photos, but they also had range of home-made cakes at the counter. They all looked so fresh and delicious. I will definitely try them out on next visit. I remembered I had a $10.00 worth voucher for use at Icey Ice Perth City that I bought from Scoopon long time ago, and it was nearly expired, so I took D and Hiro to the shop to get some sweets. I’d never been to the city one (I’ve been to Northbridge shop before), and I found that it’s a pretty small shop. There’re only 3 tables inside, and all of them were full. We had a big stroller, so thought we’d better get take-away instead of eating there…. then, one group of customer left the table, so we decided to sit down. I didn’t really feel like snow ice and was browsing the menu board…. then, noticed that they sell oden in the shop. Not “oden-snow ice” or “oden crepe”, just oden. … Oden? 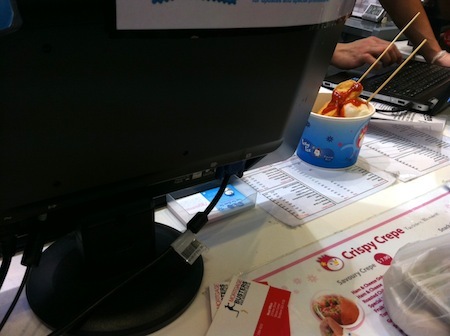 I found it’s very funny as I’d never thought a shop selling snow ice and crepe would have oden on the menu. It says “Japanese Hot Pot ~ Kansai-style Oden”, and the oden was being cooked next to the snow-ice machine. She asked for chilli sauce over oden… Obviously she is not Japanese. And I’m surprised that the shop had chilli sauce. 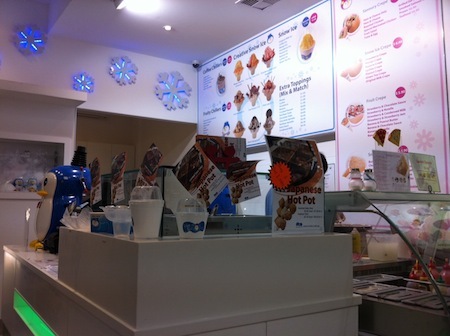 I thought Icey Ice in Northbridge is much better… bigger space, many tables to sit down, and more variety of products. I liked crepe in Northbridge shop better because they put more fillings (well, at least the last one we ate had lots of fillings). 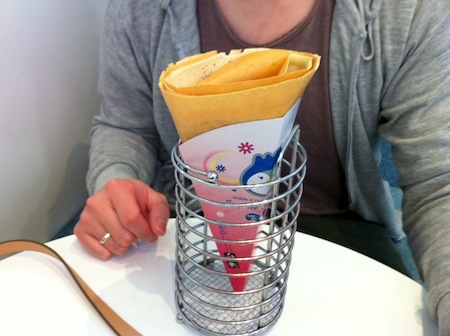 At city shop, D had to eat almost half the crepe to reach condensed milk and oreo. I’ve been drinking lots of coffee… again. I love coffee, and always had at least one cup a day – since I was a teenager. It may be because of my dad. He loves coffee too, and drinks few cups a day. He goes to a cafe very often, and if he can’t got o a cafe, he gets a can of black coffee from a vending machine which is in front of my house. Vending machines can be found everywhere in Japan, so he is always in the environment where he can get coffee easily. I love black coffee (I mentioned about this long time ago on this blog). No sugar nor milk. 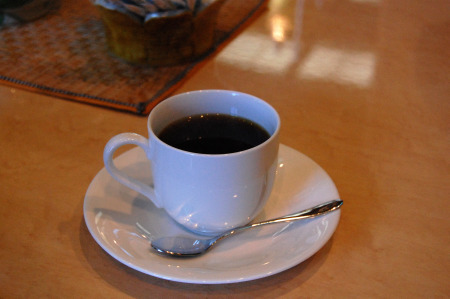 I love drinking black coffee in the morning, after each meal, with some sweet, and before bed time. Strangely my passion for coffee stopped while I was pregnant with Hiro. I could drink decaf if I wanted, but I didn’t even want to smell coffee. I was surprised about it because I remember how much I loved the smell of coffee every time I walked pass a cafe. Ummm, It will be hard in Japan because they don’t have “decaf” coffee at normal cafes or available from vending machines. They sell only standard coffee with caffeine. I guess I can drink a cup a day, or get non-caffeine coffee or tea from special shops. I want to try “tampopo (dandelion) coffee” – this is non caffeine drink made from roots of dandelion. It’s called “coffee”, but it’s not made from coffee beans. Pregnant women, breastfeeding mums, and people who are into healthy stuff drink this, and I’m curious how it tastes like. 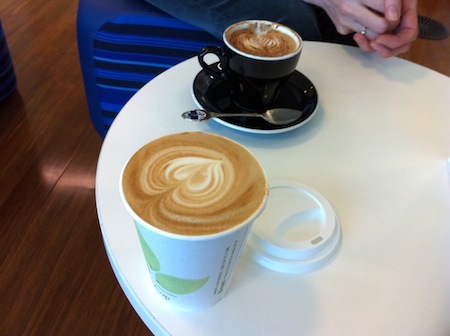 I’m looking at photos on google, but it really looks like coffee. 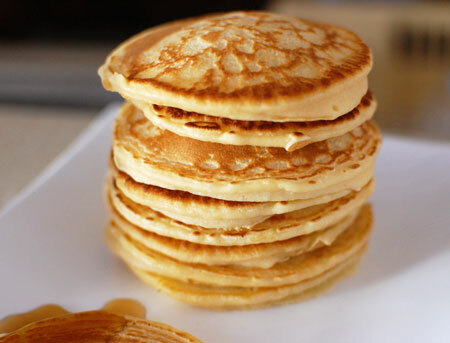 Talking about coffee – it’s only 6am but I already had a cup of black… with pancakes. Eating sweets like this makes me long for hot black coffee. To me, black coffee is the best accompaniment to sweets! It’s been warm lately and I see black hairy worms in the yard and garage… Definitely spring is here. 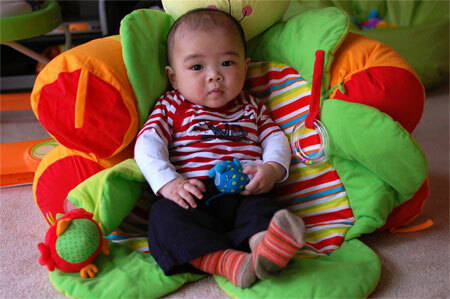 My friend who is a remedial massage therapist leant the technique of baby massage at King Edward, and she said she would lecture me how to do it so I visited her house with Hiro. It took 3 ~ 4 days to complete the class, she said. I was excited because I’ve actually never done massage on Hiro. I always thought he would catch cold if he stays naked after taking bath, but apparently baby shouldn’t be getting massage right before or after bath time. Anytime when he is relaxed and calm – and so are you – is the best time to do. She told me to bring a towel because boys normally wee during the massage. There’re other 2 moms and 2 baby girls at my friend’s house who were also keen on learning how to massage babies. One of the baby girl was bit cranky and didn’t even want to lie down on the floor, so she just observed the session instead of actually getting the massage. He was also the biggest baby among 4. Hiro seemed not to care about the massage. He didn’t stay lying down – keep rolling around and wanted to be on tummy. 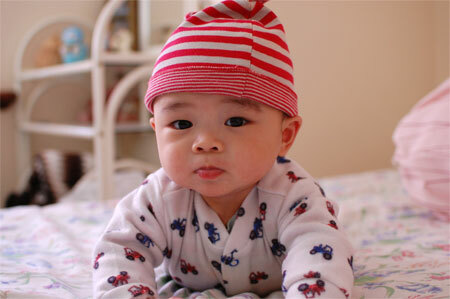 So, I didn’t really get to do massage – instead, I was holding him to keep other babies safe. When he is relaxed and in good mood I will try massaging him at home, I think. Thanks M, for lecturing us. When I wake up in early morning and can’t go back to sleep, I sometimes spend time in the kitchen – cooking. It’s just because I can’t do cooking during daytime while Hiro is awake, and also I like the quiet environment. I do some daydreaming while peeling carrots and stirring the stew. The other day I made quite a large amount of oden. The kitchen smelled like Japanese convenience stores in winter. :p I cooked it for a long time – so all the flavour was in each food and it was very delicious. I kept eating it day and night for few days. Some people can’t stand the smell of oden, I heard, but the smell actually tempt me to eat them! I simmered daikon radish and potatoes first, because they take longer to go tender and absorb the broth than soft food like tofu. I like all the flavour from the broth to be absorbed in each food. Next, konnyaku and boiled eggs are added, then nerimono (Japanese fishcakes). It’s best to have gyu-suji (beef shank/ beef gristle / fibrous beef), but I couldn’t bother going to buy them. Another night I made warm somen noodle soup with teriyaki squid. (recipe is here) Warm somen noodle soup is easy to digest, and is one of my favourite midnight snack in winter. 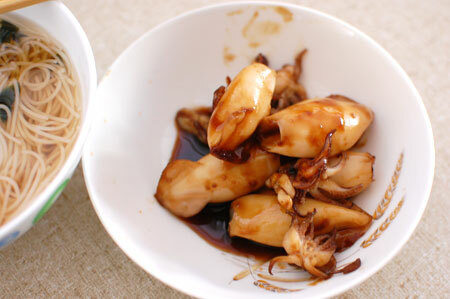 Sweet and salty teriyaki squid matches with this. Umm I think I eat quite a lot these days. Especially at night. It’s not good…. 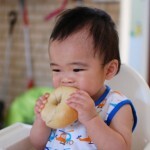 but I look for food when I’m awake, and try to eat something before Hiro wakes up. I’m sometimes not hungry, but eat full portion of meal. The weather is getting better, so I think I will do some exercise outside. Walking with Hiro, probably. About 1 month to go before our trip to Jakarta. Hmmm, to think about it, it will be about 1.5 years since my last holiday outside Australia. I haven’t left Perth since I found out I was pregnant, and I didn’t want to go back to Japan while Hiro was small because I was worried that he might get sick and also about radiation in Japan. 1.5 yeas is not really a long time, but I really feel like I need to go somewhere for a change. I’m glad that I decided to fly to Jakarta this time. I’m the type of person who sometimes wait and wait what I want to do…. until it explodes. For example, I don’t normally shop for cloths or bags, but one day it explodes and I buy many things. So, I don’t buy any cloths, bags, or shoes in Perth – just wait until I go back to Japan. In Japan, I shop like I’d never shopped before… Everyday is shopping day. I’m afraid this Jakarta trip will be the same. I hope I don’t buy too many crap over there. One thing I’m looking for is getting massage. Another is FOOD. 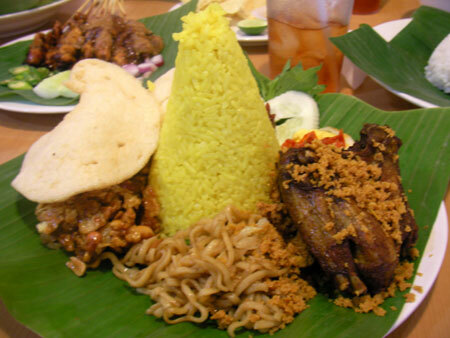 I love Indonesian food…. Probably not everyday, but I definitely enjoy eating it once in a while. I also love the convenience of things and variety of food they have over there, as well as the price. I miss the chewy shaomai with peanut sauce! It’s been since my weeding in 2009 to go to Jakarta. It’s about time to miss those delicious food. Since we will be there for only 1 week, I think we will be just eating and getting massage most of the time. I hope Hiro will be ok there. Although it’s D’s hometown, I’m still not 100% comfortable being there. Bit scary about people and also hygiene. I will plan what to buy and to do in Jakarta which I can’t do or buy in Japan – and, I want to buy some souvenir to my family too 🙂 They’ve never been to Indonesia. Many people would probably long for soda drink when they are thirsty. 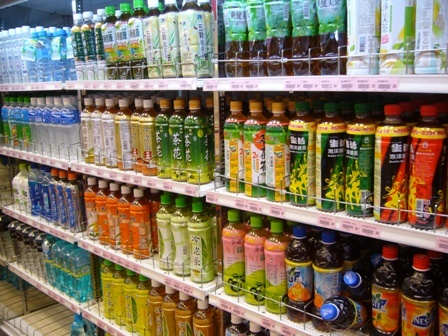 Coke, pepsi, Mountain Due, Fanta… there are so many kinds in the market. 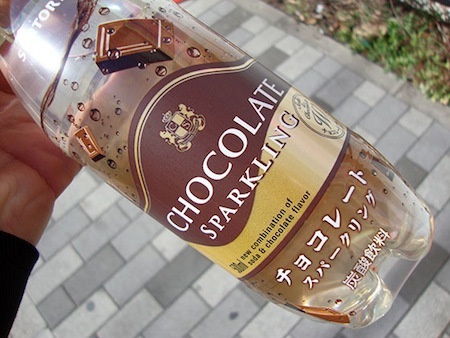 But, did you know there’re more unique sparkling drinks sold in Japan? 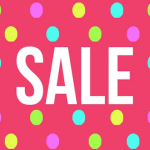 Coffee, tea, chocolate, fruit juice…. you can find them in sparkling version in Japan. I wonder how they taste like…. I’m sure some of them are not great. For example, when I’m thirsty I wouldn’t want to drink sweet chocolate. I would definitely go for a can of coke or soda water. Kirin, one of the largest beverage company in Japan, started selling this sparkling green tea in their Nama-Cha range few months ago. 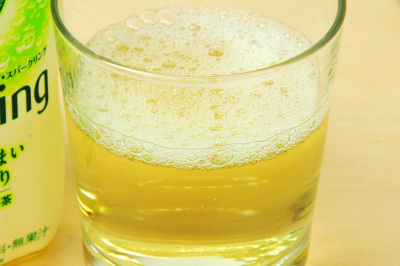 This sparkling green tea is lightly fragranced with yuzu juice. As being a green-tea-lover, I wouldn’t mind drinking this! It’s not sweet like chocolate. Well, it’s green tea, so it should be healthier than other soda drinks, right? Oh, in Japan, ocha (green tea / Japanese tea) is not sweet. There is nothing added – just tea leaf and hot water. I really hate sweet tea…. I don’t mean those English tea like earl grey, I mean some sweet Asian tea like Jasmine Green Tea…. Pokka used to sell (or, maybe they are still selling) genmaicha, oolong tea and mint green tea with SUGAR here in Perth. They are too sweet. It’s not tea to me! So, if you think Japanese people drink those sweet tea like Jasmine green tea everyday, you are wrong…. We drink unsweetened tea daily. Personally I can’t drink sweet beverage with rice and miso soup. I remember D told me the other day that there’re supermarkets in America selling only soda drinks. Then I told him “well, I’m not surprised. If you go to Japan you will see lots and lots of kinds of tea sold there.”. Even at a convenience store, you will find many kinds of tera drinks, both cold and hot. I’m sure it’s not only in Japan. South Korea, Taiwan, and other countries may be the same. In fact, there are so many kinds of Chinese tea in Japan and they are very popular. Ummm I sometimes miss the convenience of living in Japan. 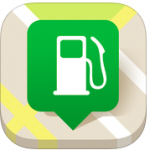 When you are thirsty just look for a vending machine or convenience store, and grab a bottle of dink with one coin. Rice is something I need to eat at least 6 times a week. It’s just because I’m Japanese and rice is the source of everyday power… My grand parents and parents used to tell me “if you don’t eat rice, you have no energy to do anything.” Because I was raised with rice (2~3 times a day for 365 days), my body really became like that – I get no energy if I don’t eat rice for 2 days. The typical breakfast at my house was rice and miso soup. 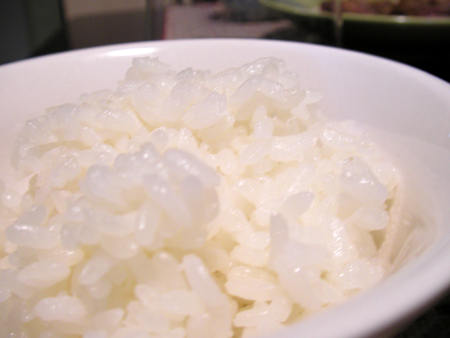 When I woke up, rice was always in a rice cooker – freshly cooked each morning. Although my dad enjoys eating toast and coffee in the morning at cafe these days, he used to only eat rice while I was a teenager and that’s why my mum cooked this “Japanese style breakfast” everyday. Leftover from last night’s dinner was usual side dishes, plus some pickles and seasoned nori (seaweed) or furikake (rice seasoning). I was surprised to know how expensive rice was in Perth since I came here. I mean, short grain rice. I’d never paid money for rice as my family own rice fields and grow rice by ourselves – so rice was always in our kitchen. Lots of them. Here, I need to “buy” rice from stores and I felt it’s bit strange at first. I had never eaten long grain rice while I was in Japan, but I like it pretty much now. I like the little dryness of long grain rice when eating with something soupy such as curry. They are cheaper than short grain rice (or Sushi rice) too. 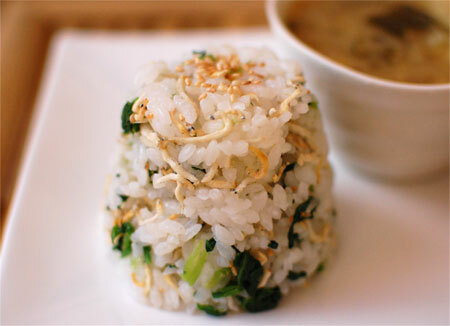 But, when making sushi, onigiri or zosui, I need short grain (or medium grain) rice. The stickiness is very important when making those Japanese food. Some of the short grain or medium grain rice sold here are from USA, Taiwan, Korean and elsewhere. As long as the rice was grown in water like Japanese rice, they taste pretty alike. In some countries, rice is grown in soil and it tastes different. Rice imported from Japan is always expensive, but the price of rice (short/medium) from USA and other countries had suddenly increased few years ago because of drought. Now, the price had dropped little bit, but I still feel they are expensive… I found Korean rice is cheaper and is very good quality. Japanese rice, such as Akitakomachi, Akitaotome, and Koshihikari, are very expensive – even in Japan. They are like brand. Omi-mai is the rice my family grows, and they are very good too. 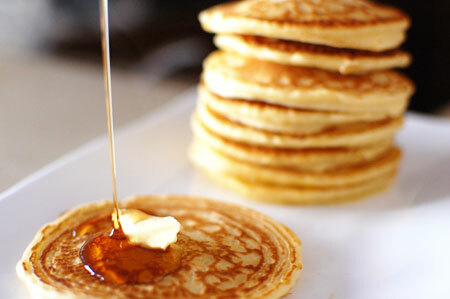 Oooo I just miss eating it. I think my dad should consider exporting his rice to Australia. 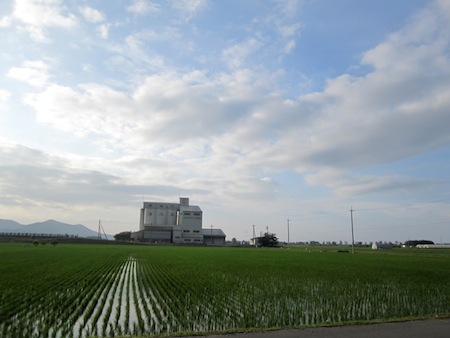 When buying rice here, you should be careful that some rice is more than few years old…. Rice should be eaten within one year after harvest. At my house, we replace old rice with new rice after harvest season each year. New rice (shin-mai) tastes so juicy and fresh. 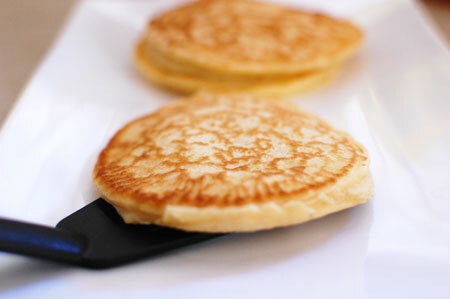 You need less water to cook as they are so soft and fresh. When preparing some rice sold here, if you think they are pretty old, soak them in water for at least 30 minutes before cooking (or add more water when cooking) so they become softer. Ummmm I feel like having wafu breakfast for a change. I need to be away from peanut butter toast! Is it because my body is too cold? Or is it because I eat lots of sweets? 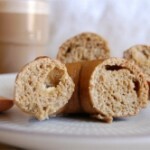 I’ve been eating a slice of bread with peanut butter few times a day…. 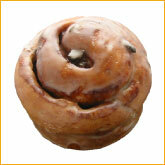 And some chocolate buns. And biscuits. 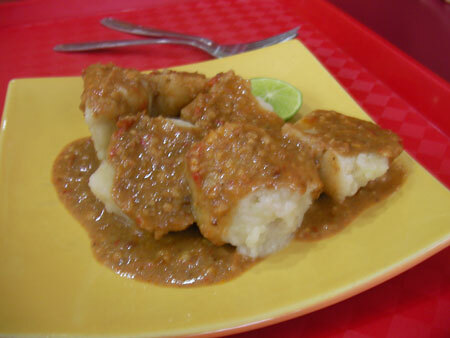 I had beef casserole for dinner and I’ve read that beef clogs breast duct – could the beef be the reason? Hmmm I guess I just need to relax a bit. Hiro drinks a lot of milk these days and I keep thinking that my milk supply is not enough. Maybe it has became stress somehow. Sleeping from 7am until 2 ~ 3am has been his regular sleep pattern at night. It’s great because I get to have lots of sleep too. I still go to bed at the same time he does (7am! yes, I’m like a grandma), and after he wakes me up at 2am I’m not sleepy anymore. I’ve been doing lots of stuff in this early morning; mostly cooking. 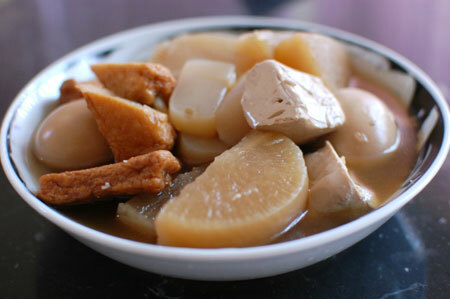 I cooked beef casserole 2 nights ago, and made oden just now. My kitchen smells like convenience stores in winter in Japan, hehe. I don’t have time to cook during the day (that’s why I’ve been eating a slice of bread with peanut butter!) because Hiro doesn’t take nap much (maximum 30 minutes), and he cries if I’m not there. He is such a crying baby. 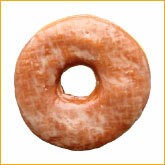 Donuts are definitely one of my tea-time favourite. 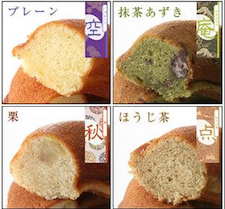 I was just browsing some Japanese donuts websites and they all look so yummy…. ! I love going to MisterDonut because they have many shops across Japan, even near my house, but there are other donut shops in Japan includes franchised and private-owned. Here are some of them. 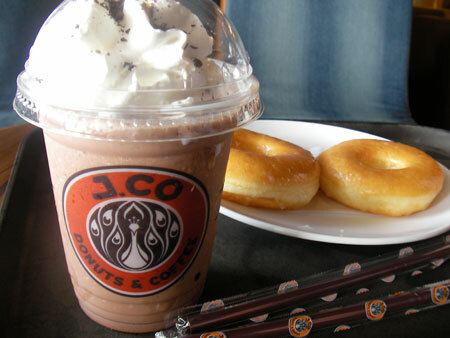 DoughnutPlant is one of popular franchise shops originally from New York. 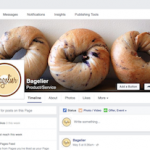 They don’t only sell bakery donuts and sweet donuts but also bagels and donut cookies. Their products don’t contain eggs. 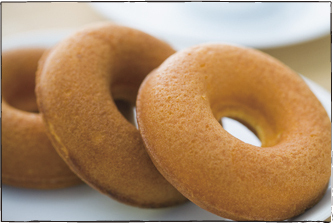 Their sweet donuts (cake donuts) contain kanten (agar), and it tastes like fluffy sponge cake. 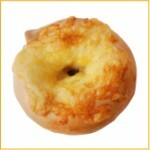 Canezees Doughnut are hand-made and fried in rice oil. Their donuts don’t contain eggs, and use dark sugar instead of white. 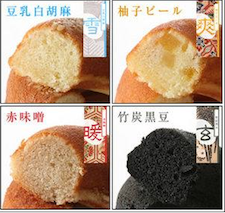 They have unique flavours such as Black Sesame Kinako (soy powder) and Yuzu Lemon. They re-use the oil which has been used to fry donuts as fuel on their van! Zen Donut are baked, not fried. 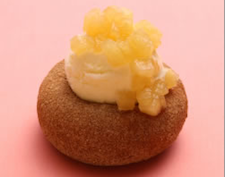 Zen donut uses Japanese products in their donuts, and the flavours are very unique. 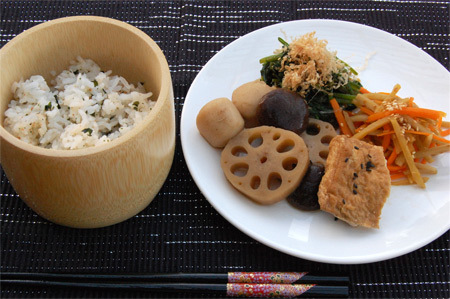 Soy Milk Sesame, Ho-ji-cha Tea, Bamboo Charcoal, and Warabi-mochi are some examples. They also sell karinto, one of my favourite Japanese snacks! 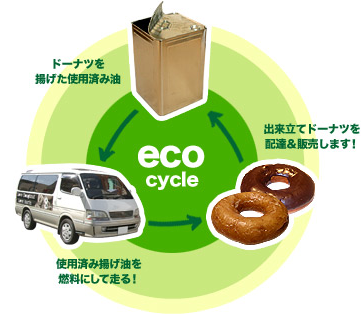 Floresta sells donuts made from only natural ingredients, called ‘nature doughnuts’. 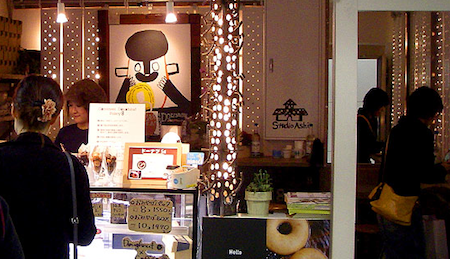 The owner started selling donuts from a stall inside shopping malls in Nara prefecture, but now they have 30 shops across Japan, from Hokkaido to Kyushu. 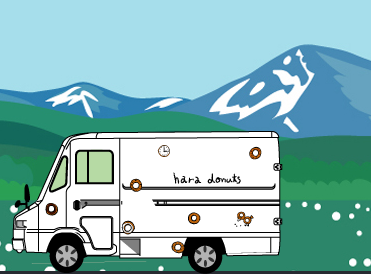 Hara Donuts use soy milk and tofu extract (okara) in their donuts. Their hand-made fresh donuts are naturally delicious and so healthy! Again, their flavours are unique – spinach, carrot, sweet potato, kiwi, passionfruit, lemon tea, sakura , etc. 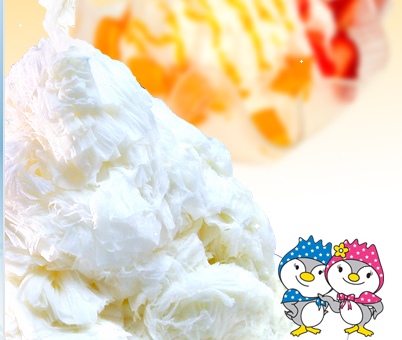 They use fresh fruits and vegetables in their products. By that, you can know what they are trying to tell you – the simple, natural ingredients are the best. They also sell donut ice cream. Bitter chocolate, purple sweet potato, and pumpkin etc etc… You won’t get bored with these unique flavours. 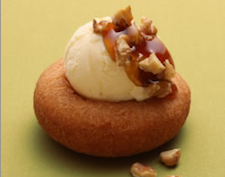 As their donuts are baked, the texture is soft – just like butter cake. 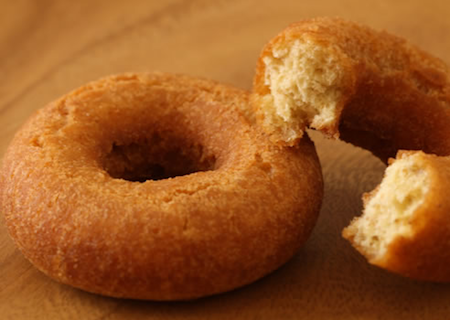 The best way to enjoy a baked donut is to lightly warm it up in an oven toaster. This way, you can create the contrast of fluffy interior and crispy outside.